The number of seats is limited to 48. We request your comprehension. A cycle of gramophone concerts is regularly held within the lecture theatre ACADEMIA of the Intermediatheque. This concert series focuses on the Satoshi Yuze record collection, from which we select famous 1920-1940s jazz recordings. We play them on the illustrious E.M.G. Mark IX and other gramophones, in order to share a quality of sound which has now vanished from public spaces. St. Louis Blues composed by W.C. Handy is a standard constitutive of the early jazz repertoire, often cited as a work symbolizing the complex relationship between jazz and blues. From a formal standpoint however, this song is not exactly a blues. Moreover, until he realized the commercial potential of the blues and composed this work, Handy had long played music unrelated to blues. This characteristic work eventually became a standard, after repeated recordings by such masters as Bessie Smith and Louis Armstrong. Here, we will focus on the song’s structure and evolution, from early recordings to new experiments in the nascent modern jazz scene. “Gramophone”, “Phonograph”, “Graphophone”, “Zonophone”… After the invention and diffusion of a mechanical system capable of recording and playing back sound, it took several decades before the terminology designating this device took root. It is said that meanwhile, the perplexity of people discovering this enigmatic piece of furniture emitting wonderful sounds was beyond imagination, ranging from curiosity to fear. However, with the generalization of LPs, CDs and digital audio files, gramophones have fallen out of use, and those remaining in museums simply exist as exhibition items. This concert series aims at activating the gramophone again as a playback device, in order to appreciate its possibilities anew. The University Museum, the University of Tokyo These gramophones will play a wide range of music, and various types of records. Among them, a most precious source of music is the Satoshi Yuze collection, donated to the University Museum in 2012. This private record collection, focusing on jazz music, contains ten thousand SP records. 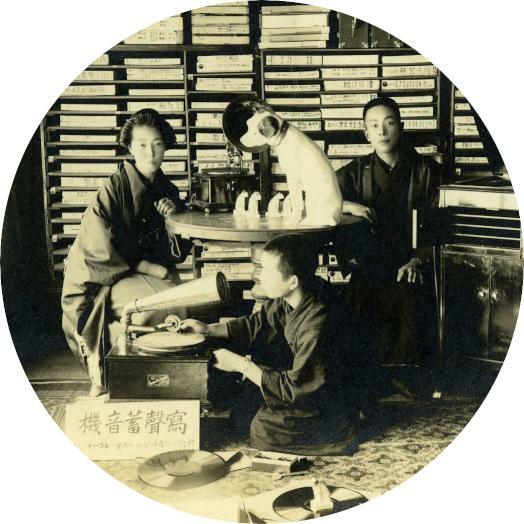 By playing on luxurious gramophones the collection constituted by Satoshi Yuze, which is the work of a lifetime, we will not only introduce rare recordings, but we will also share the quality and deepness of a sound lost with the advent of the digital era. In the iPod age, by getting together within the Intermediatheque lecture theatre and experiencing musical gatherings from another era, we intend to develop the museum space into a site for synaesthesia.